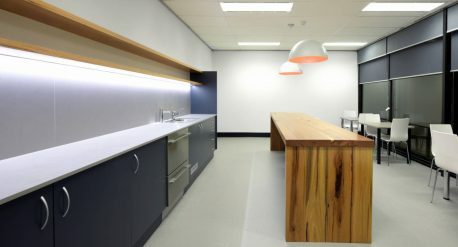 This project included a total floor plan redesign and refurbishment to include break out spaces and brand new open plan kitchen. 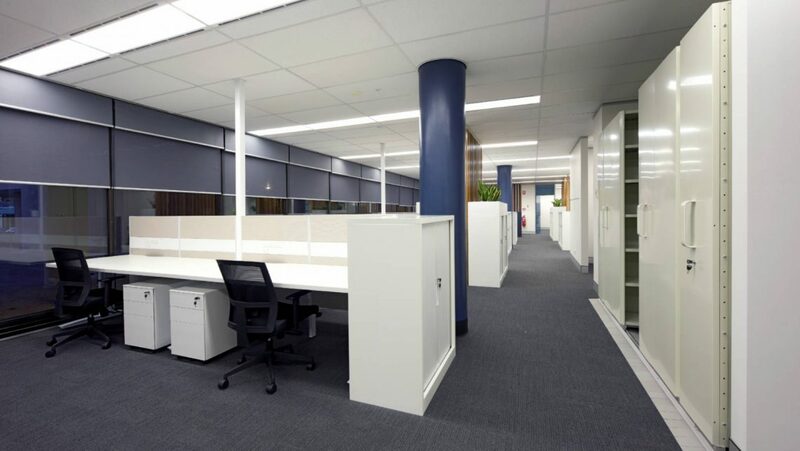 This complete refresh brought new collaborative energy to, what was, a tired office space. 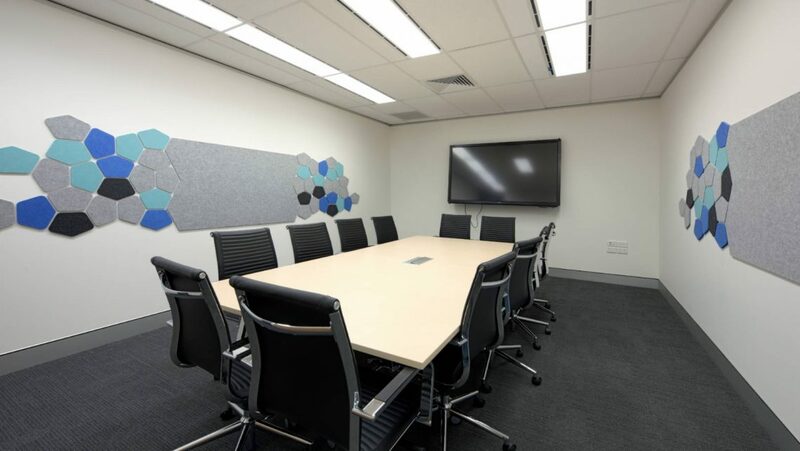 The new conference room included high tech video and teleconference solutions and a unique acoustic wall treatment that doubles as artwork to break up the space. This work was carried out during normal hours in a fully operational Government building, causing as little disruption as possible to normal usage.